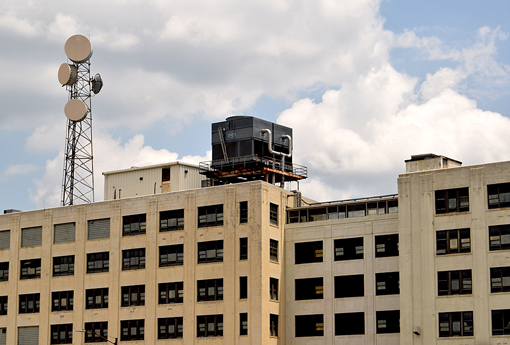 I've been on the majority of Atlanta Movie Tours tours, some of them multiple times, but I had shied away from their "Best of Atlanta" tour thinking that it would be about a lot of movies that I knew nothing of. I was sooooooo wrong! Best tour EVER! I had the awesome pleasure of having actor friend Jonathan Horne join me. Jonathan is accomplished in stage, television and film, so this was totally in his bailiwick. It was a great way to catch up, too! 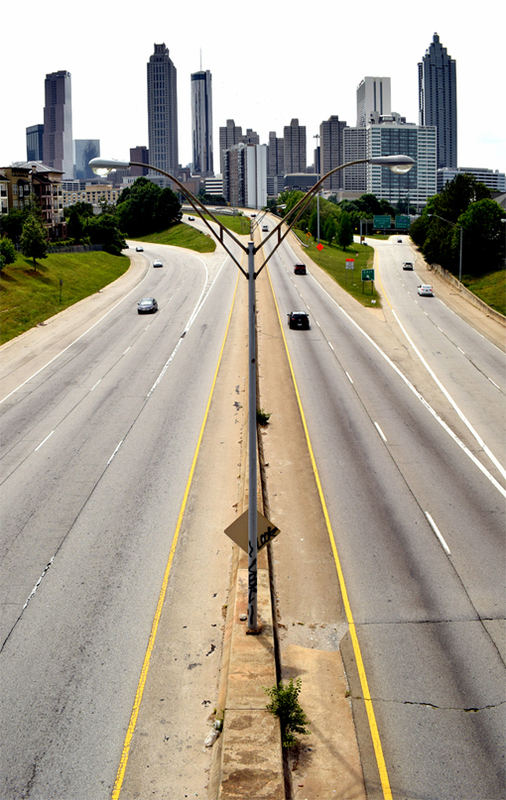 The photo above is perhaps the most photographed view of the Atlanta skyline! 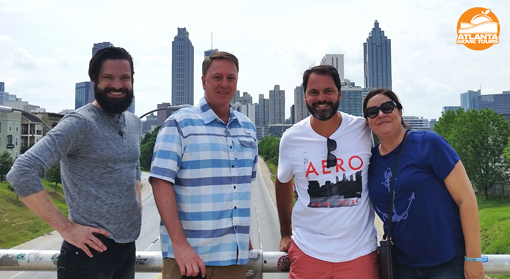 It's from the Jackson Street Bridge, made super-famous by a scene in Season 1 of The Walking Dead, which is filmed in Atlanta and surrounding areas. If you remember Merle being handcuffed on the roof of a building, you'll get to see that film site before you even get on the bus! 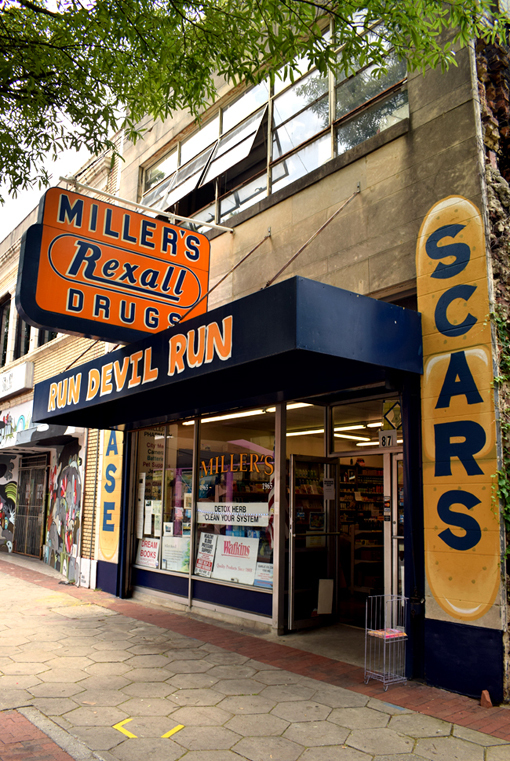 The film location for a number of movies, Miller's Rexall Drugs didn't add the "Run Devil Run" to its awning until after it appeared on Paul McCartney's Run Devil Run album cover. Someone made a photo years ago and did the equivalent of PhotoShopping "Run Devil Run" onto the awning. The store sells a line of "Run Devil Run" products, and so much more! We were handed over to the store owner for a guided tour of much more than meets the eye! He's highly entertaining and super nice and you're going to learn so very much about a little store that you probably didn't even know existed. Prepare to be fascinated! If you like a good horror flick, you're going to love this film site! 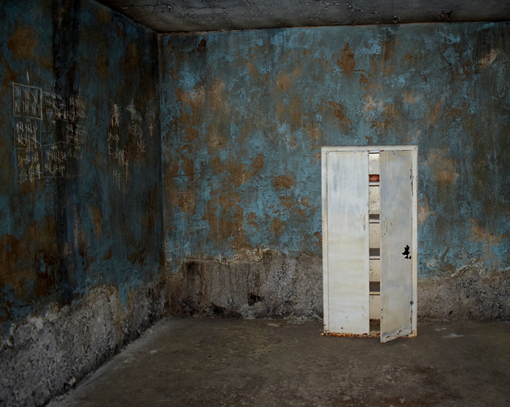 This is in the basement of Miller's Rexall Drugs—creepy already, isn't it?—and it's one of the film sites for Rings. Creepy, creepy, creepy...yet, totally exciting at the same time! I had no idea that Atlanta even had a store like this...it's like something right out of the movies! Literally. 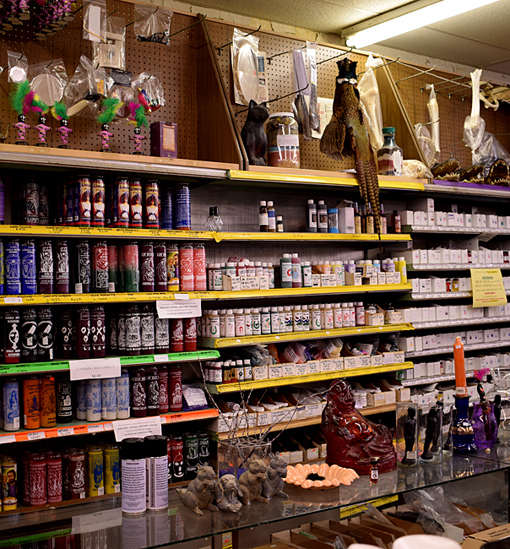 In addition to being a film site for a number of movies, the store is also a movie-making destination for movie props of the voodoo, hoodoo and mystic arts variety. You might learn something about Captain America while you're traveling the world...I mean while you're on your Atlanta Movie Tours tour. 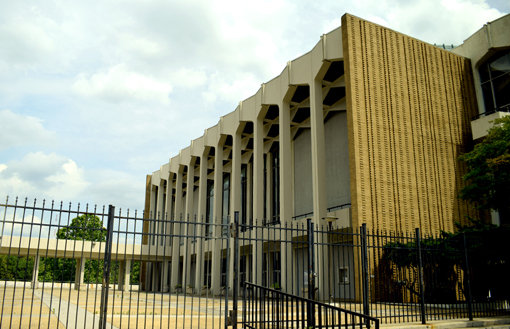 I once saw Captain America in front of this building...and, of course, in the movie Captain America: Civil War. We didn't see Captain America on our Best of Atlanta tour, but I do know that you may be able to book him for a custom tour! There are several "celebrity guests" you can book for a custom tour...just ask your Atlanta Movie Tours sales rep for details. I love, love, love the Pitch Perfect movies! Pitch Perfect 3, slated to open in December 2017, was partially filmed in Atlanta! Looking forward to seeing some familiar sites in that one! 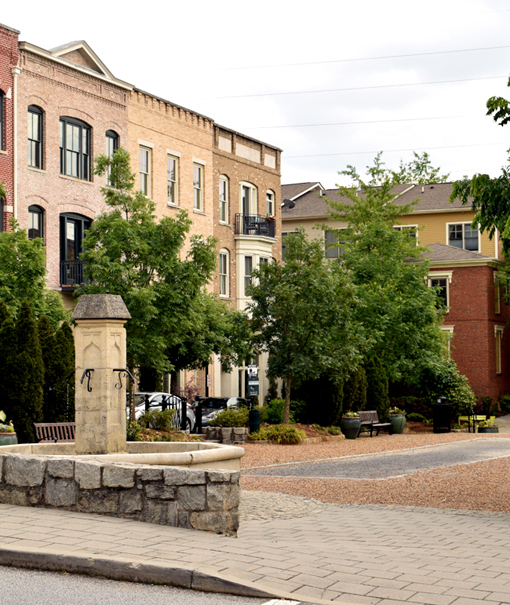 Most of the Atlanta Movie Tours tours have a stop along the way, to heed calls of nature, to grab a coffee and/or a snack, check your messages, respond to texts, get to know your fellow tourees, etc. On this tour our stop was at Drip, an awesome coffee shop in lovely Glenwood Park. 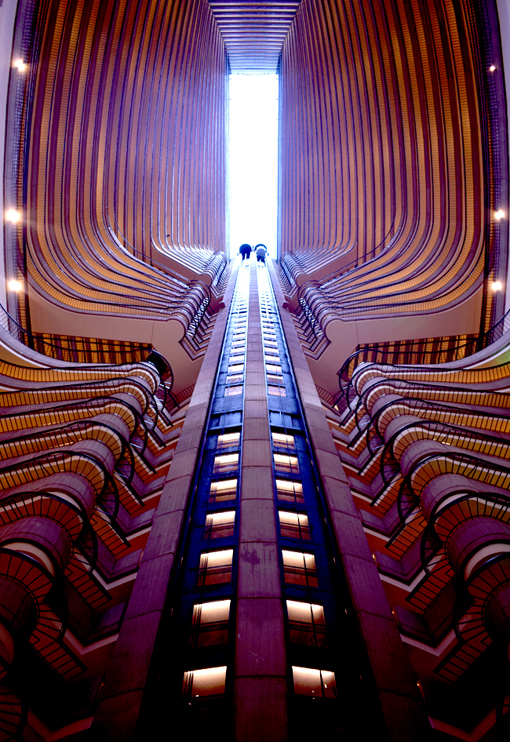 The "alien rib cage" elevators at Atlanta Marriott Marquis have been used in a number of movies, for obvious reason...they're spectacular! One of the things that I love about going on Atlanta Move Tours tours is that you discover that you've been in or by film sites of famous movie scenes a bazillion times, but didn't realize the significance of where you were. I find those discoveries fascinating! 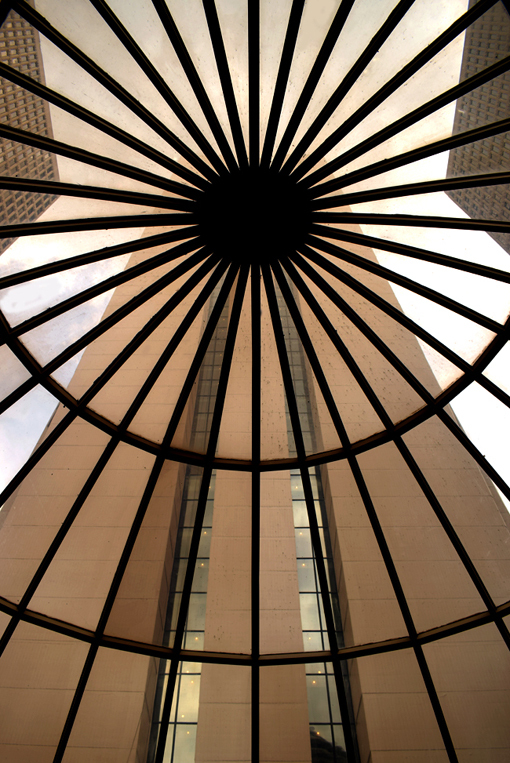 I don't recommend being under this glass dome during take-off. You'll have to go on the tour to find out what that means, of course, and it's totally worth it! Included in the price of your tour is a souvenir group photo at one of the sites along your tour. You may make all the photos you like, unless otherwise noted by your tour guide, but I can't recall a time when we couldn't, so definitely bring your camera! 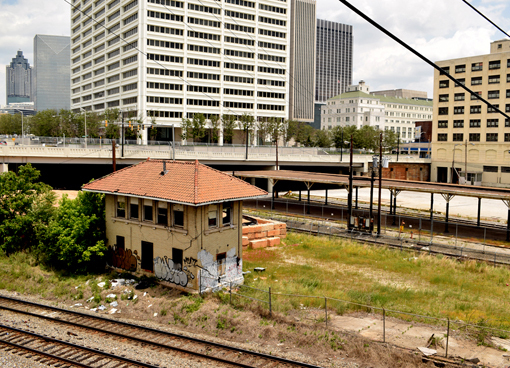 I think we covered every movie ever filmed in Atlanta—it certainly felt like it—a lot of them that you've seen, but didn't realize were filmed here. This is a super-fun tour and I highly recommend it! Our tour guide Clyde was totally awesome! He's been the tour guide on other Atlanta Movie Tours tours that I've been on and he's always fantastic. "Thank you, Clyde!" I'd also like to give a huge "Thank you!" to my Atlanta Movie Tours friends Patti, Anna, and Carrie for hosting us...it was a totally awesome and fantastic day! Are you thinking about to go on a tour but also thinking for how to find a best tour guide? I think you should not worry about it because konsort is giving you world class qualified tour guide for your tour. Visit their website now for a tour guide. "How to Use a Knife" is Top Notch!